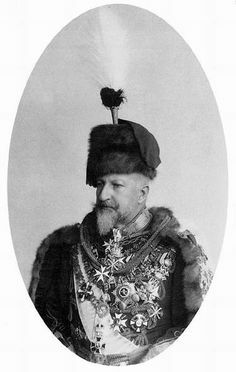 Ferdinand I (Bulgarian: Фердинанд I; 26 February 1861 – 10 September 1948), born Ferdinand Maximilian Karl Leopold Maria of Saxe-Coburg and Gotha, was the second monarch of the Third Bulgarian State, firstly as ruling prince (knyaz) from 1887 to 1908, and later as king (tsar) from 1908 until his abdication in 1918. He was also an author, botanist, entomologist and philatelist. Ferdinand was born on 26 February 1861 in Vienna, a German prince of the House of Saxe-Coburg and Gotha-Koháry. 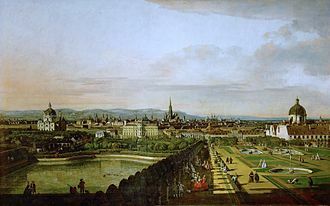 He was baptised in St. Stephen's Cathedral, Vienna on 27 February, having as godparents Archduke Maximilian of Austria and his wife Princess Charlotte of Belgium. He grew up in the cosmopolitan environment of Austro-Hungarian high nobility and also in their ancestral lands in Hungary and in Germany. 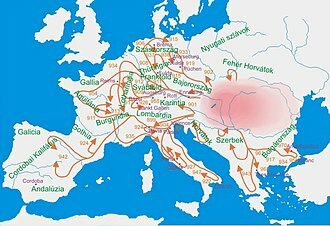 The House of Koháry descended from an immensely wealthy Upper Hungarian noble family, who held the princely lands of Čabraď and Sitno in present-day Slovakia, among others. The family's property was augmented by Clémentine of Orléans' remarkable dowry. 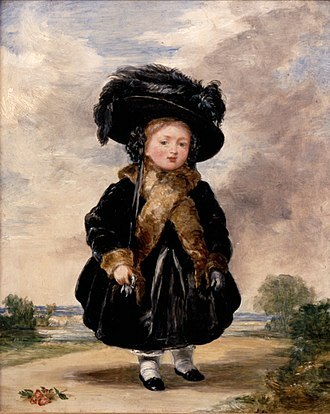 The son of Prince August of Saxe-Coburg and his wife Clémentine of Orléans, daughter of King Louis Philippe I of the French, Ferdinand was a grandnephew of Ernest I, Duke of Saxe-Coburg and Gotha and of Leopold I, first king of the Belgians. His father August was a brother of King Ferdinand II of Portugal, and also a first cousin to Queen Victoria, her husband Albert, Empress Carlota of Mexico and her brother Leopold II of Belgium. These last two, Leopold and Carlota, were also first cousins of Ferdinand I's through his mother, a princess of Orléans. This made the Belgian siblings his first cousins, as well as his first cousins once removed. 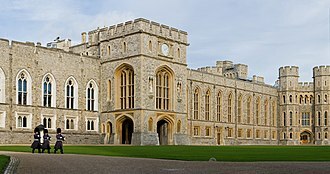 Indeed, the House of Saxe-Coburg and Gotha had contrived to occupy, either by marriage or by direct election, several European thrones in the course of the 19th century. Following the family trend, Ferdinand was himself to found the royal dynasty of Bulgaria. 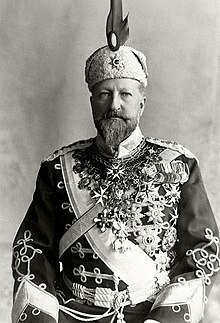 The previous ruling prince of Bulgaria, Alexander of Battenberg, had abdicated in 1886 after a pro-Russian coup, only seven years after he had been elected. 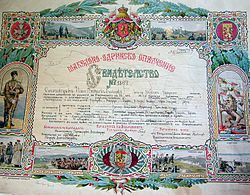 Ferdinand, who was an officer in the Austro-Hungarian army, was elected Prince of autonomous Bulgaria by its Grand National Assembly on 7 July 1887 in the Gregorian calendar (the "New Style" used hereinafter). 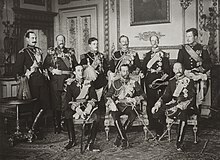 In desperate attempts to prevent Russian occupation of Bulgaria, the throne had been previously offered, before Ferdinand's acceptance, to princes from Denmark to the Caucasus and even to the King of Romania. The Russian tsar himself had nominated his aide, Nichols Dadian of Mingrelia, but his candidacy was rejected by the Bulgarians. 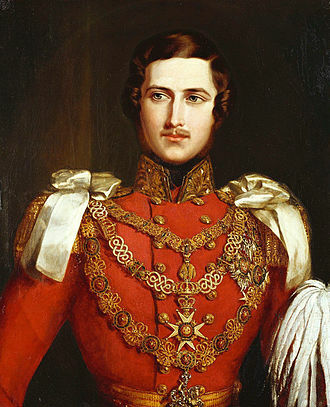 Ferdinand's accession was greeted with disbelief in many of the royal houses of Europe; Queen Victoria, his father's first cousin, stated to her Prime Minister, "He is totally unfit ... delicate, eccentric and effeminate ... Should be stopped at once." 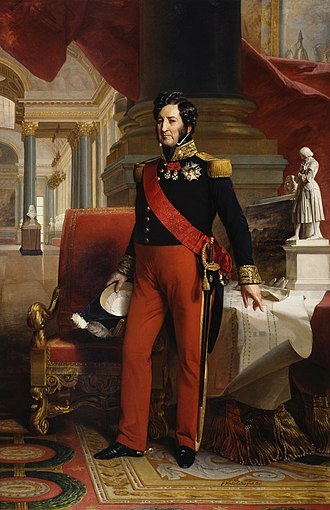 To the amazement of his initial detractors, Ferdinand generally made a success during the first two decades of his reign. Stambolov's fall (May 1894) and subsequent assassination (July 1895) paved the way for a reconciliation of Bulgaria with Russia, effected in February 1896 with Ferdinand's decision to convert his infant son, Prince Boris, from Roman Catholicism to Eastern Orthodox Christianity. 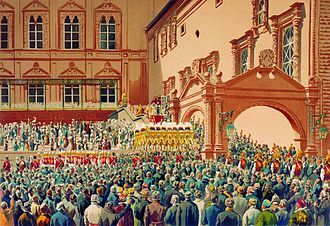 However, this move earned him the animosity of his Catholic Austrian relatives, particularly that of his uncle, Emperor Franz Joseph I of Austria. 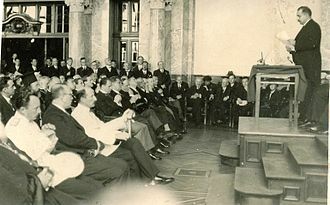 On 5 October 1908 (celebrated on 22 September), Ferdinand proclaimed Bulgaria's de jure independence from the Ottoman Empire (though the country had been de facto independent since 1878). 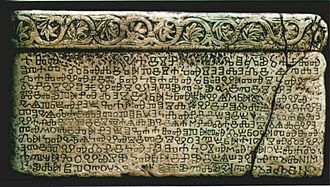 He also proclaimed Bulgaria a kingdom, and assumed the title of tsar—a deliberate nod to the rulers of the earlier Bulgarian states. The Bulgarian Declaration of Independence was proclaimed by him at the Holy Forty Martyrs Church in Tarnovo, and was recognized by Turkey and the other European powers. 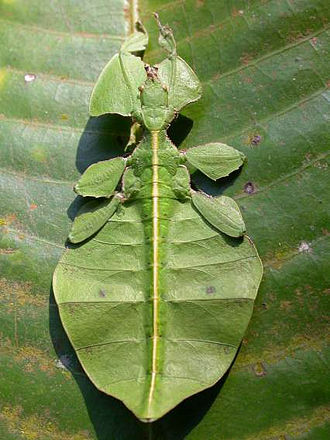 Ferdinand was known for being quite a character. 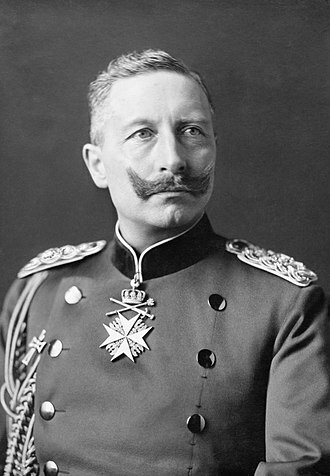 On a visit to German Emperor Wilhelm II, his second cousin once removed, in 1909, Ferdinand was leaning out of a window of the New Palace in Potsdam when the Emperor came up behind him and slapped him on the bottom. Ferdinand was affronted by the gesture but the Kaiser arrogantly refused to apologize. Ferdinand however exacted his revenge by awarding a valuable arms contract he had intended to give to the Krupp's factory in Essen to French arms manufacturer Schneider-Creusot. 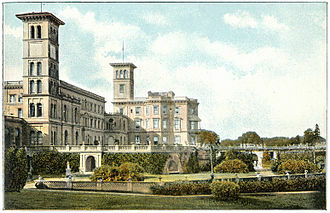 Another incident occurred on his journey to the funeral of his second cousin, King Edward VII in 1910. A tussle broke out over where his private railway carriage would be positioned in relation to the heir to the Austro-Hungarian throne, Archduke Franz Ferdinand. The Archduke won out, having his carriage positioned directly behind the engine. Ferdinand's was placed directly behind. Realising the dining car of the train was behind his own carriage, Ferdinand obtained his revenge on the Archduke by refusing him entry through his own carriage to the dining car. On 15 July the same year during a visit to Belgium Ferdinand also became the first head of state to fly in an airplane. Like many other rulers before him, Ferdinand desired the creation of a "new Byzantium". In 1912, Ferdinand joined the other Balkan states in an assault on the Ottoman Empire to free occupied territories. He saw this war as a new crusade declaring it, "a just, great and sacred struggle of the Cross against the Crescent." Bulgaria contributed the most and also lost the greatest number of soldiers. The Great Powers insisted on the creation of an independent Albania. Though the Balkan League allies had fought together against the common enemy in the First Balkan War, that was not enough to overcome their mutual rivalries. 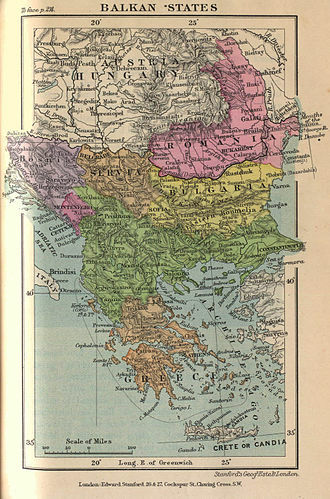 In the original documents for the Balkan League, Serbia and Greece had been pressured by Bulgaria to hand over most of Macedonia after they had freed it from Turkish rule. However Serbia and Greece, responding to popular protest, said that they would keep possession of the territories that their forces had occupied. Soon after, Bulgaria began the Second Balkan War when it invaded its recent allies Serbia and Greece to seize this territory, before being attacked itself by Romania and the Ottoman Empire. Although Bulgaria was defeated, the 1913 Treaty of Bucharest granted the Kingdom some territorial gains. A tiny area of land giving access to the Aegean Sea was secured. On 11 October 1915, the Bulgarian army attacked Serbia after signing a treaty with Austria-Hungary and Germany stating that Bulgaria would gain the territory it sought at the expense of Serbia. While he was not an admirer of German Emperor Wilhelm II or Austrian Emperor Franz Josef I—whom he described as "that idiot, that old dotard of a Francis Joseph".—Ferdinand wanted additional territorial gains after the humiliation of the Balkan Wars. This also entailed forming an alliance with his former enemy, the Ottoman Empire. During the initial phase of World War I, the Tsardom of Bulgaria achieved several decisive victories over its enemies and laid claim to the disputed territories of Macedonia after Serbia's defeat. For the next two years, the Bulgarian army shifted its focus towards repelling Allied advances from nearby Greece. They were also partially involved in the 1916 conquest of neighboring Romania, now ruled by another Ferdinand I, who was also Ferdinand's second cousin once removed. 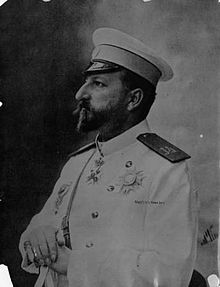 To save the Bulgarian monarchy after multiple military setbacks in 1918, Tsar Ferdinand abdicated in favour of his eldest son, who became Tsar Boris III on 3 October 1918. Under new leadership, Bulgaria surrendered to the Allies and, as a consequence, lost not only the additional territory it had fought for in the major conflict, but also the territory it had won after the Balkan Wars giving access to the Aegean Sea. Marie Louise died on 31 January 1899 after giving birth to her youngest daughter. Ferdinand did not think again about marriage until his mother, Princess Clémentine died in 1907. To satisfy dynastic obligations and to provide his children with a mother figure, Ferdinand married Princess Eleonore Reuss of Köstritz, on 28 February 1908. 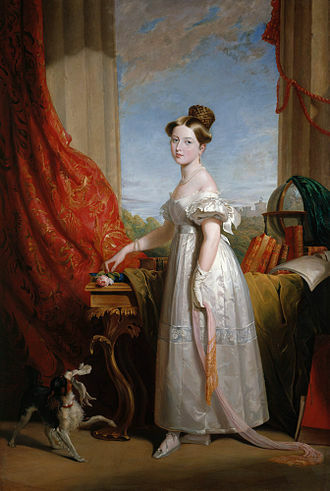 Neither romantic love or physical attraction played any role, and Ferdinand treated her as no more than a member of the household, and showed scant regard. In his private relations, Ferdinand was a somewhat hedonistic individual. Bisexual throughout his life, up until early middle age his inclination was more towards women. He enjoyed affairs with a number of women of humble position, siring a number of illegitimate children whom he then supported financially. In his later life, rumours abounded of Ferdinand's trysts with lieutenants and valets. His regular holidays on Capri, then a popular holiday destination with wealthy gay men, were common knowledge in royal courts throughout Europe. In 1895 an interview given by the embittered former Prime Minister, Stefan Stambolov to the Frankfurter Zeitung created a nine-day scandal across Europe, when he focused strongly on his personal witness of Ferdinand's homosexual interests. 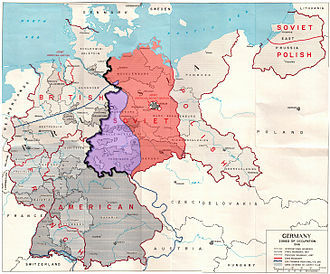 After his abdication, Ferdinand returned to live in Coburg, Germany. He had managed to salvage much of his fortune and was able to live in some style. He saw his being in exile simply as one of the hazards of kingship. He commented, "Kings in exile are more philosophic under reverses than ordinary individuals; but our philosophy is primarily the result of tradition and breeding, and do not forget that pride is an important item in the making of a monarch. We are disciplined from the day of our birth and taught the avoidance of all outward signs of emotion. The skeleton sits forever with us at the feast. It may mean murder, it may mean abdication, but it serves always to remind us of the unexpected. Therefore we are prepared and nothing comes in the nature of a catastrophe. The main thing in life is to support any condition of bodily or spiritual exile with dignity. If one sups with sorrow, one need not invite the world to see you eat." He was pleased that the throne could pass to his son. Ferdinand was not displeased with exile and spent much of his time devoted to artistic endeavors, gardening, travel and natural history. Ferdinand died a broken man in Bürglass-Schlösschen on 10 September 1948 in Coburg, Germany, cradle of the Saxe-Coburg-Gotha dynasty. He was the last surviving grandchild of Louis-Philippe of France. His final wish was to be buried in Bulgaria, and for this reason his coffin was temporarily placed in the crypt of St. Augustin, Coburg, next to his parents' coffins. 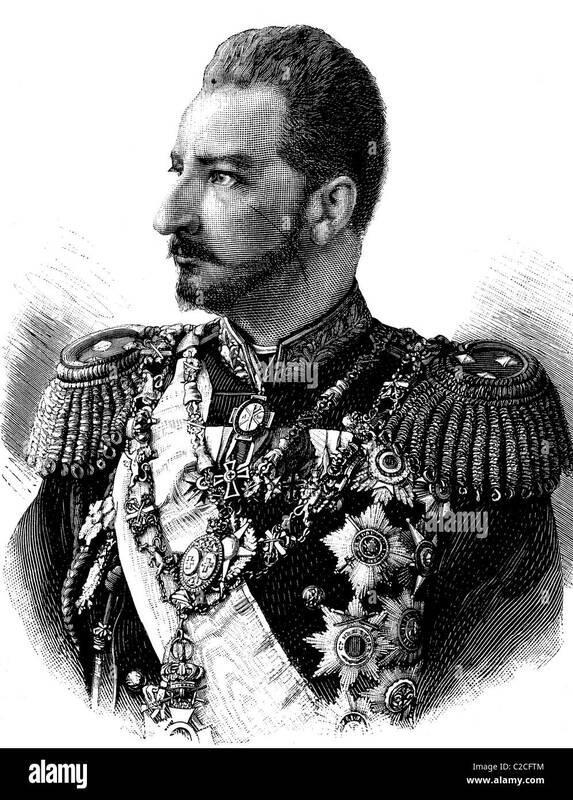 ^ "King up in Aeroplane: Ferdinand of Bulgaria First Monarch to Do It – Sons Fly Also" (Adobe Acrobat). New York Times website. New York Times. 16 July 1910. p. 1. Retrieved 2010-07-17. ^ a b Stéphane Groueff, ‘’Crown of Thorns: The Reign of King Boris III of Bulgaria, 1918-1943’’, Madison Books, 1998. ^ a b Constant, Stephen Foxy Ferdinand, 1861–1948, Tsar of Bulgaria, Sidgwick and Jackson, 1979, pp. 96, 266. ^ Perry, Duncan M. Stefan Stambolov and the Emergence of Modern Bulgaria: 1870-1895, Duke University, 1993, p216. ^ "Toison Espagnole (Austrian Fleece) - 20th century" (in French), Chevaliers de la Toison D'or. Retrieved 2018-11-18. ^ Jørgen Pedersen (2009). Riddere af Elefantordenen, 1559–2009 (in Danish). Syddansk Universitetsforlag. 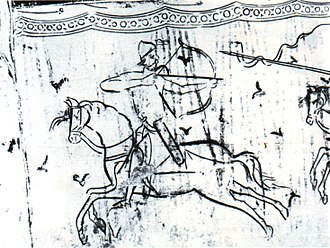 p. 469. ISBN 978-87-7674-434-2. ^ "Ferdinand wearing the order at the wedding of his daughter Princess Nadezhda to Prince Albrecht of Württemberg". ^ "The Majesties attended the celebrations of the 900th anniversary of the Sovereign Order of Malta". The Majesties attended the celebrations of the 900th anniversary of the Sovereign Order of Malta - H.R.H. King Simeon II. ^ "The Royal family attended the reception on the occasion of the Day of St. John the Baptist, patron of the Order of Malta". The Royal family attended the reception on the occasion of the Day of St. John the Baptist, patron of the Order of Malta - H.R.H. King Simeon II. ^ Kumanov, Мilen (2015). Bulgarian-Turkish relations during the First World War (1914 – 1918) – A collection of documents (PDF) (in Bulgarian) (2 ed.). Sofia: Gutenberg. 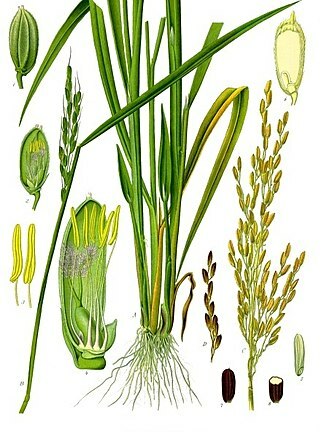 p. 516. ISBN 978-619-176-034-3. ^ "Prince ferdinand at Kieff". The Times (36805). London. 27 June 1902. p. 7. Aronson, Theo (1986). Crowns In Conflict: The Triumph And The Tragedy Of European Monarchy, 1910–1918. London: J.Murray. ISBN 0-7195-4279-0. Massie, Robert K (1981). The Last Courts of Europe. London: J.M.Dent & Sons Ltd. ISBN 0-460-04519-9. Palmer, Alan (1978). The Kaiser: Warlord Of The Second Reich. London: Weidenfeld and Nicolson. ISBN 0-297-77393-3. Wikimedia Commons has media related to Ferdinand I of Bulgaria. Alexander Joseph GCB, known as Alexander of Battenberg, was the first prince of modern Bulgaria from 1879 until his abdication in 1886. Alexander was the son of Prince Alexander of Hesse and by Rhine by the latters morganatic marriage with Countess Julia von Hauke. 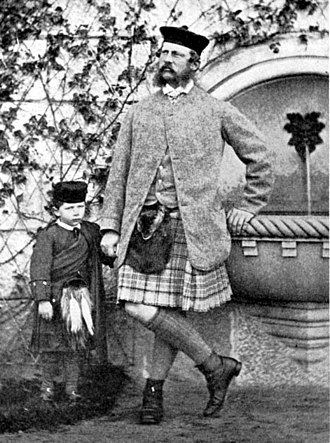 The Countess and her descendants gained the title of Princess of Battenberg, Alexander was known to his family, and many biographers, as Sandro and Drino. 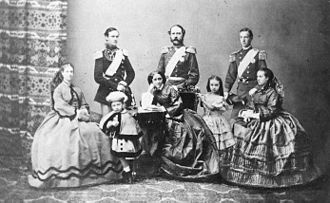 Alexanders brother, Prince Louis of Battenberg, married Princess Victoria of Hesse and the Rhine and their children included Queen Louise of Sweden, Earl Mountbatten of Burma and Princess Alice, the mother of Prince Philip, Duke of Edinburgh, husband of Queen Elizabeth II. 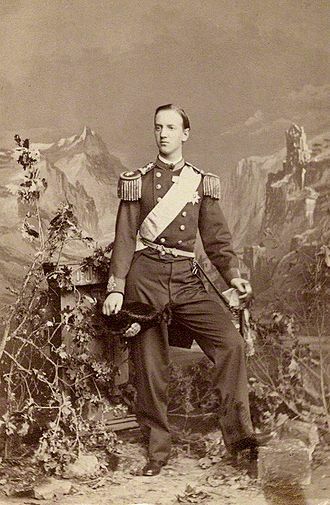 Alexanders other brother, Prince Henry of Battenberg, married Queen Victorias youngest daughter Princess Beatrice, among their children was Queen Victoria Eugenia of Spain. 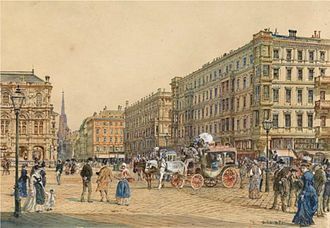 In his boyhood and early youth Alexander frequently visited Saint Petersburg, and he accompanied his uncle, the Tsar, at that time he held a commission as a lieutenant in the Prussian life-guards at Potsdam. The people everywhere en route greeted him with immense enthusiasm, the new ruling prince had not had any previous training in governing, and a range of problems confronted him. 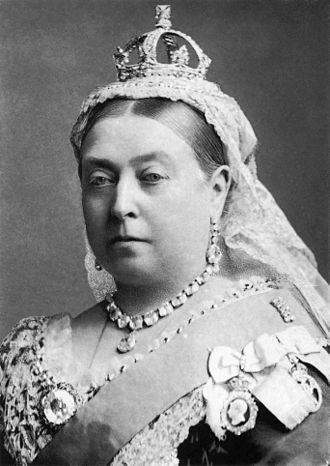 In 1881, a marriage began to be talked of between Alexander and Princess Viktoria of Prussia, after attempting to govern under these conditions for nearly two years, the prince, with the consent of the Russian tsar, Alexander assumed absolute power, having suspended the Constitution. A specially convened assembly voted for suspension of the constitution for a period of seven years. The prince, after vainly endeavouring to obtain the recall of the generals, a serious breach with Russia followed, and the part which the prince subsequently played in encouraging the national aspirations of the Bulgarians widened that breach. The revolution of Plovdiv, which brought about the union of Eastern Rumelia with Bulgaria, took place with Alexanders consent, in the year which followed, the prince gave evidence of considerable military and diplomatic ability. 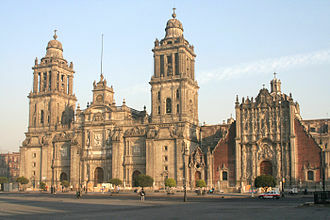 Maximilian was the only monarch of the Second Mexican Empire. He was a brother of the Austrian emperor Francis Joseph I. After a distinguished career in the Austrian Navy, he accepted an offer by Napoleon III of France to rule Mexico, France had invaded Mexico in the winter of 1861, as part of the War of the French Intervention. Seeking to legitimize French rule in the Americas, Napoleon III invited Maximilian to establish a new Mexican monarchy for him. With the support of the French army, and a group of conservative Mexican monarchists hostile to the administration of new Mexican President Benito Juárez. Once there, he declared himself Emperor of Mexico on 10 April 1864, the Empire managed to gain recognition by major European powers including Britain and Prussia. The United States however, continued to recognize Juarez as the president of Mexico. 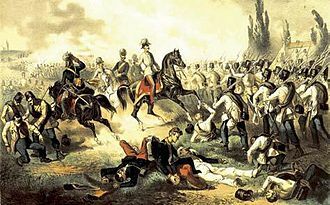 Maximilian never completely defeated the Mexican Republic, Republican forces led by President Benito Juárez continued to be active during Maximilians rule, with the end of the American Civil War in 1865, the United States began more explicit aid of President Juárezs forces. Matters worsened for Maximilian after the French armies withdrew from Mexico in 1866 and his self-declared empire collapsed, and he was captured and executed by the Mexican government in 1867. His wife, Charlotte of Belgium, had left for Europe earlier to try to support for her husbands regime, after his execution, however. 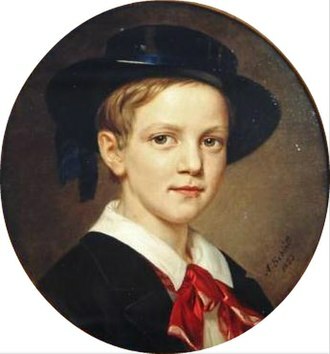 Maximilian was born on 6 July 1832 in the Schönbrunn Palace in Vienna and he was baptized the following day as Ferdinand Maximilian Joseph. The first name honored his godfather and paternal uncle, The King of Hungary and his father was Archduke Franz Karl, the second surviving son of The Emperor of Austria, during whose reign he was born. Maximilian was thus a member of the House of Habsburg-Lorraine, a cadet branch of the House of Habsburg. 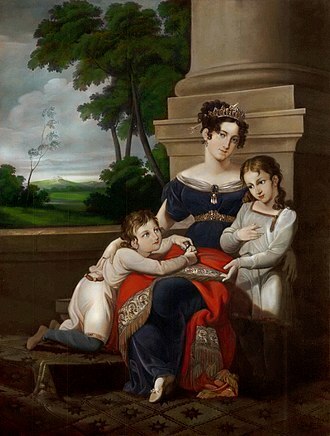 His mother was Princess Sophie of Bavaria, a member of the House of Wittelsbach, despite their different personalities, the marriage was fruitful, and after four miscarriages, four sons—including Maximilian—would reach adulthood. 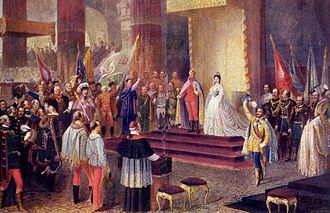 The existence of an affair between Sophie and the Duke, and any possibility that Maximilian was conceived from such a union, are widely dismissed by historians. Albert I reigned as King of the Belgians from 1909 to 1934. 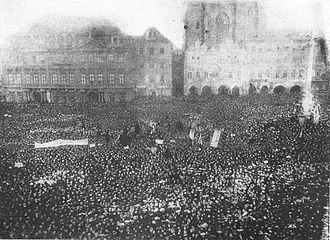 This was a period in the History of Belgium, which included the period of World War I, when 90 percent of Belgium was overrun, occupied. King Albert died in a accident in eastern Belgium in 1934, at the age of 58. Born Albert Léopold Clément Marie Meinrad in Brussels, he was the child and second son of Prince Philippe, Count of Flanders. Prince Philippe was the son of Leopold I, the first King of the Belgians, and his wife, Marie-Louise of France. Princess Marie was a relative of Kaiser Wilhelm II of Germany, Albert grew up in the Palace of Flanders, initially as third in the line of succession to the Belgian throne as his reigning Uncle Leopold IIs son had already died. Retiring and studious, Albert prepared himself strenuously for the task of kingship, shortly before his accession to the throne in 1909, Albert undertook an extensive tour of the Belgian Congo, which had been annexed by Belgium in 1908, finding the country in poor condition. 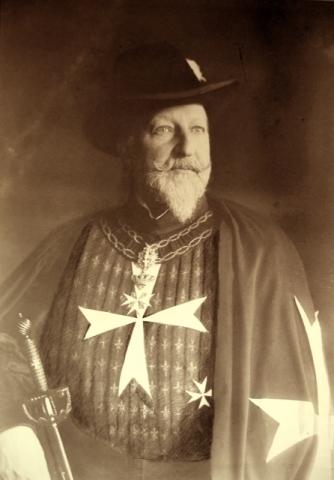 Upon his return to Belgium, he recommended reforms to protect the native population and he was the 1, 152nd Knight of the Order of the Golden Fleece in Austria and the 851st Knight of the Order of the Garter in 1914. 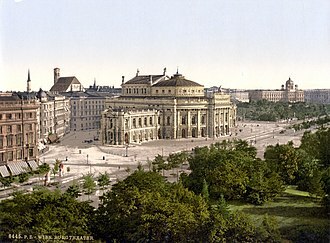 Albert was married in Munich on 2 October 1900 to Duchess Elisabeth Gabrielle Valérie Marie in Bavaria, a Wittelsbach princess whom he had met at a family funeral. A daughter of Karl-Theodor, Duke in Bavaria, and his wife, the Infanta Maria Josepha of Portugal, she was born at Possenhofen Castle, Germany, on 25 July 1876, and died on 23 November 1965. Based on the letters written during their engagement and marriage the couple appear to have been deeply in love. The letters express a mutual affection based on a rare affinity of spirit. 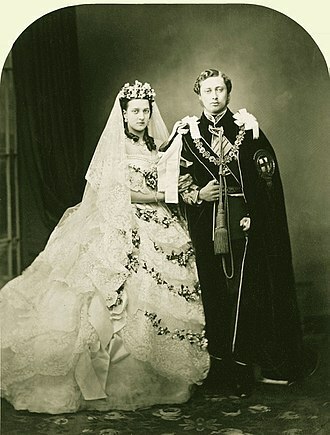 They make clear that Albert and Elisabeth continually supported and encouraged each other in their roles as king. The spouses shared a commitment to their country and family. Together, they cultivated the friendship of prominent scientists, mathematicians, charles-Théodore Henri Antoine Meinrad, Count of Flanders, Prince of Belgium, Regent of Belgium. Philately is the study of stamps and postal history and other related items. It refers to the collection and research activities on stamps, Philately involves more than just stamp collecting, which does not necessarily involve the study of stamps. It is possible to be a philatelist without owning any stamps, for instance, the stamps being studied may be very rare, or reside only in museums. The word philately is the English version of the French word philatélie, Herpin stated that stamps had been collected and studied for the previous six or seven years and a better name was required for the new hobby than timbromanie, which was disliked. He took the Greek root word φιλ- phil-, meaning an attraction or affinity for something, and ἀτέλεια ateleia, meaning exempt from duties and taxes to form philatelie. The introduction of postage meant that the receipt of letters was now free of charge. The alternative terms timbromania and timbrology gradually fell out of use as philately gained acceptance during the 1860s. Comparison with the records of postal authorities may or may not show that the variations were intentional, which leads to further inquiry as to how the changes could have happened, and why. To make things interesting, thousands of forgeries have been produced over the years, some of them very good. Thematic philately, known as philately, is the study of what is depicted on the stamps. There are hundreds of subjects, such as birds on stamps. A classic example is the Pony Express, which was the fastest way to send letters across the United States during the few months that it operated, covers that can be proven to have been sent by the Pony Express are highly prized by collectors. Aerophilately is the branch of history that specializes in the study of airmail. Philatelists have observed the development of transport by air from its beginning. Postal stationery includes stamped envelopes, postal cards, letter sheets, aérogrammes and wrappers, cinderella philately is the study of objects that look like stamps, but are not postal stamps.